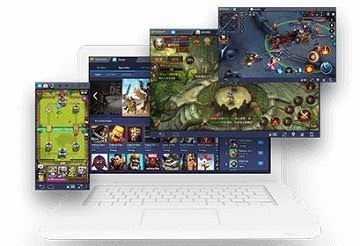 Bluestacks is a gaming platform for emulating Android games on your PC or Laptop, changing how you play mobile games. Now, with Bluestacks 3N you can now download, play, and enjoy the latest and most advanced mobile games around the world! Take advantage of your PC's full power to generate faster game-play and better graphics than your tablet or phone. Now with Bluestacks 3N, playing Android games will take you to another level because you can now use the flexibility of your keyboard and mouse to give you full control of your game, regardless which gaming genre you are playing! Join over 250 million people playing their mobile games on their PC using BlueStacks! - I've been using Bluestacks since Bluestacks 1 and 2 to play Android games, and here are some of the perks why I am still using this awesome gaming platform until now, with Bluestacks 3N. - Unlike before, mobile games would only let you save your game progress to your device, but now a days, Game Developers are now allowing players to save their game progress to their game exclusive accounts, social media accounts, or through Cloud services. - This opened the possibility to use Android Emulators together with Phones or Tablets. - Note: Make sure that your account is linked to the game in-order to save your progress and play using multiple devices. - Players also doesn't play just 1 mobile game anymore, so managing them all from 1 mobile device would really drain your battery fast, especially if you are playing online games that requires internet connection. - Now with Bluestacks 3N, you have the chance to play your games to any device without the fear of missing out from any limited time rewards, in-game events, and more! - Take advantage of your PC's keyboard and mouse to enhance your gaming experience! 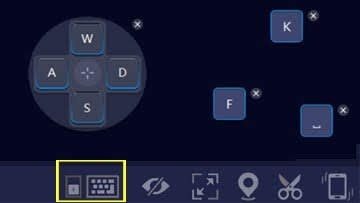 Open the Keyboard Control UI to set Hot Keys for your game. - This incredibly useful feature will allow you to set your preferred Hot Keys per action, giving you more edge when playing action games for example, because of faster reaction time. - Bluestacks 3N also supports hot keys for shooter games! - Using your PC, you can sit tight and enjoy your favorite Android games with wider screens, giving you clearer view on what is happening to your gaming world. - By taking advantage of your PC and Video Card's capabilities, you can also enjoy faster gameplay and better graphics, thus increasing the quality of your gameplay experience with mobile games! - Phones and Tablets can only support mobile games depending on their hardware specifications and Android version, so you'll need to buy new phones or tablets just to play all upcoming Android Games. 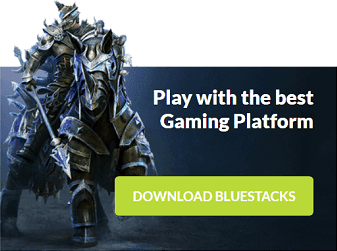 - With Bluestacks, you only need to upgrade your PC once or use your existing setup to play all the newest and upcoming most advanced mobile games around the world. - Currently, BlueStacks is the only android gaming platform in the world running Android N (7.1.2), and you can enjoy that to your PC just by installing Bluestacks 3N. - Personally, I would still buy new phones or tablets, but with Bluestacks it would take a while before I will get new ones, means more money for me to spend for other things! Do Emulators Count as a 3rd Party Software? - This was an issue before among the gaming community, but now a days Emulators are widely accepted as a gaming platform. Will I Get Banned By Using Emulators? - No, because even game developers do advertise their games through Bluestacks. Plus, BlueStacks is the only platform that works directly with mobile game developers to bring you the best gaming experience. - Note: I've been using Bluestacks for years, and I didn't get any bans just by using it. - Players however will still get the ban hammer if they are using 3rd party programs like "cheats" while using any Android Emulators. Game Developers can detect these abnormal activities, and some can do it even if you are using multiple accounts. I Am Having Trouble with Bluestacks 3N!